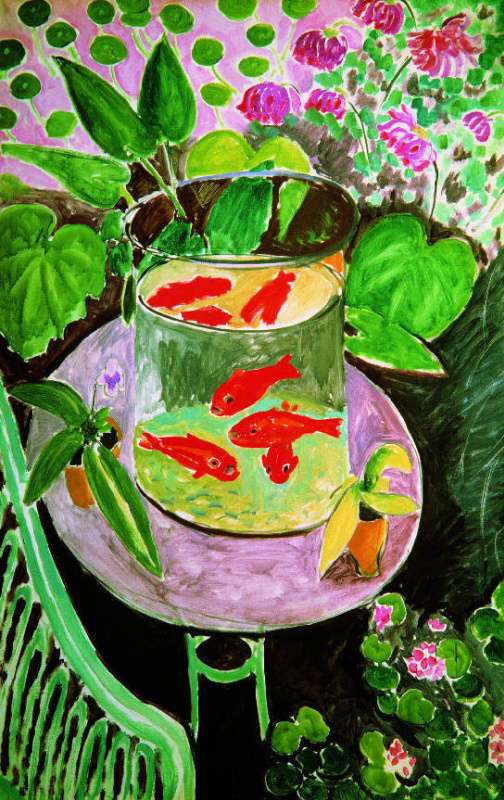 We often come across the images of fish in painting. It’s a popular, beautiful and diverse symbol, known for many centuries in different cultures. was known both in ancient Egypt and in Celtic, Indian, Mesopotamian, Burmese, Persian cultures, and the art of the Eastern Slavs. In the bronze fibulae of the 7th century, found in the village of Zenkovo in Poltava region, the connecting links resemble snakes, fish, and birds of prey, thus connecting the three elements of nature: air, water, and earth. The images of these animals are often found in the decoration of jewellery in Central Asia, where they were also associated with the idea of fertility. In ancient times, a gold figurine of a fish was worn as an amulet (Oxus Treasure of the 5th-4th centuries BC, 2nd century BC fish from New Nisa); dolphin-fish are depicted on clasps from Tillya Tepe (Afghanistan, 1st century BC). The images of fish are also reflected in the ornament of some traditional jewellery of northern Tajiks and Uzbeks. This ornament is known as "fishtail" or "fish scale" and was interpreted as a symbol of numerous posterity, and in some cases served as the personification of wealth and happiness. explains the origin of the monogram of the name of Jesus. Christians saw in this word a kind of acrostic (the initial letters of each word make up a meaningful text), telling about Christ. 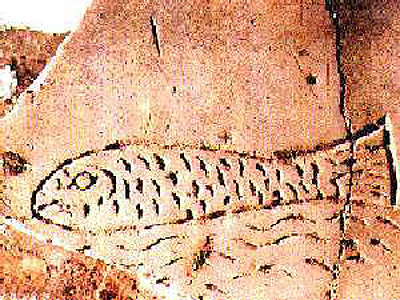 Each letter of the "ancient Greek fish" was for them, respectively, the first letter of other very important words expressing the profession of Christianity: "Ιησούς Χριστός Θεού Υιός Σωτήρ" (Greek) — "Jesus Christ, Son of God, Saviour" (in abbreviated form: ICHTHYS — Fish). 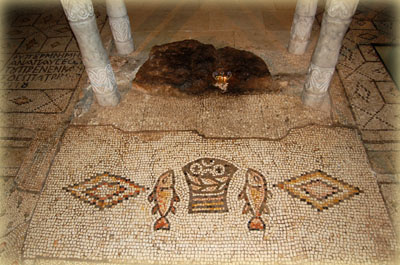 With the spread of Christianity and its pictorial culture, fish symbolism became polysemic. First of all, it is a symbol of baptism: as a fish cannot live without water, so a true Christian won’t find salvation without passing through the waters of baptism. The satiation of five thousand people with five loaves of bread and two fish served not only as an example of mercy, but was also widely used as a metaphor for the Eucharist (Loaves and Fish. Mosaic. Tabgha. Israel. 4th century AD). was strictly fixed within the framework of church theology. 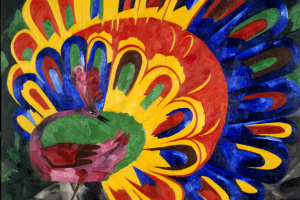 Each artist had to strictly follow the canonical regulations and there even existed special textbooks for that purpose. In book miniatures and gravestone reliefs of the 12th- 14th centuries, birds and fish symbolized the "upper and the lower abyss." Speaking of emblems, fish were rarely used there, since they meant dumbness and voicelessness. 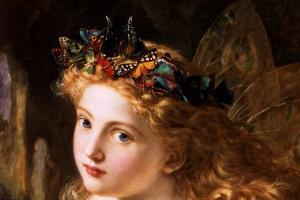 The Renaissance world view made a breach in the system of medieval aesthetic ideas, and a wide stream of the earthly world rushed through it into religious painting. A significant contribution to the development of European painting was made by the Netherlands in the 15th — 16th centuries. 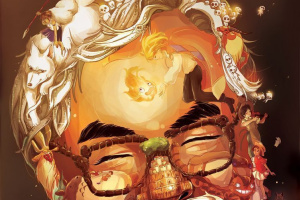 Artists were looking for new subjects, means and ways of expressing their creative ideas. 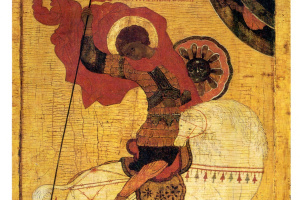 The symbols were still used, but the meaning of an image changed depending on which language could be assigned to its author. The work of Hieronymus Bosch can be seen as the culmination of the replacement of religious painting by the secular one, given the retaining polysemy of the visual code. Bosch’s artistic language never fully fit into canonical interpretations. 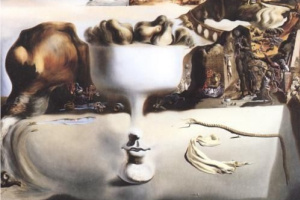 The artist often used certain symbols in the completely unusual sense, and also invented new symbols. 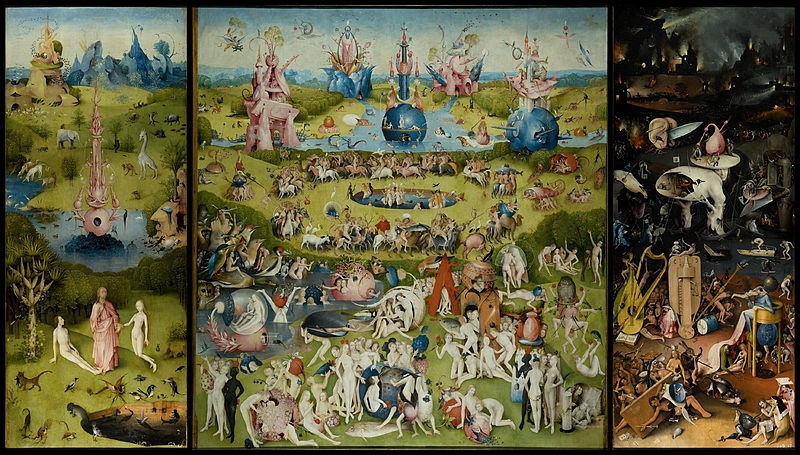 One of the most famous works of the master is the triptych The Garden of Earthly Delights (1500−1510). 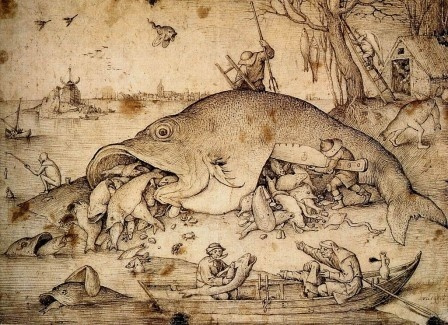 In the work of another great artist of that era — Pieter Bruegel the Elder, the images of fish illustrated exclusively Flemish proverbs. 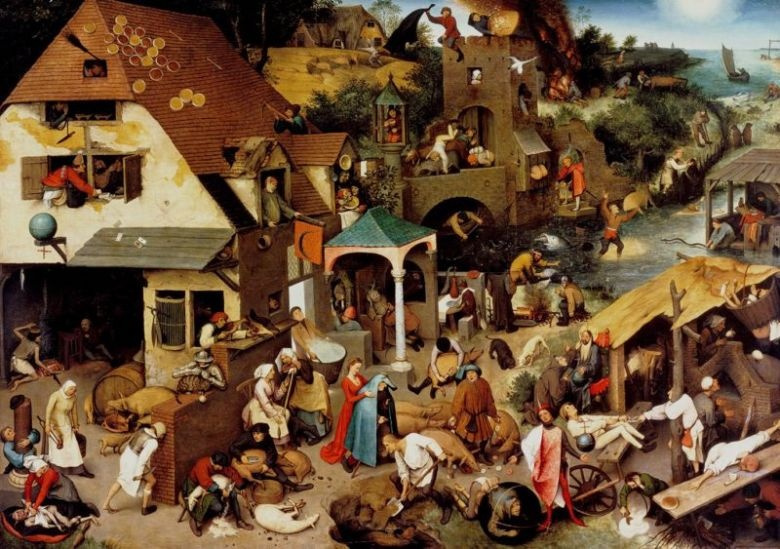 For example, in the painting Netherlandish Proverbs (1559), the characters visually treat fish as a product, but the artist put into his plots a meaning that art historians still haven’t made sense of, because not all proverbs have survived to our days. 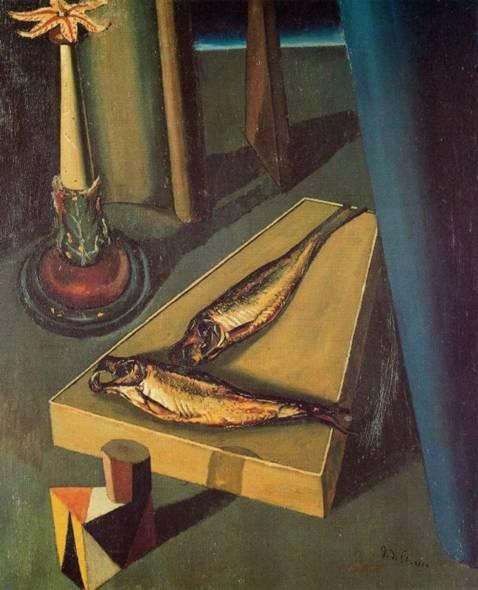 For example, a plot with a man frying fish illustrates the proverb "to fry the whole herring for the sake of the roe" (meaning to do too much to achieve a little). 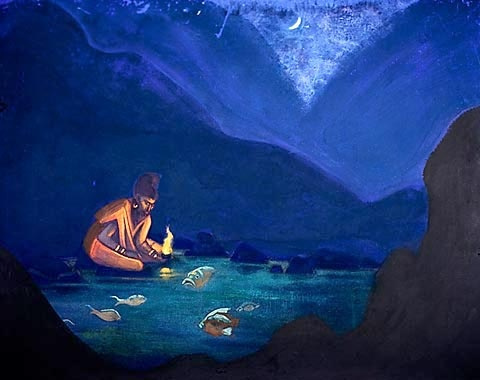 However, it’s possible that the artist meant to illustrate a different proverb here — "his herring fries not here" (it's not going according to plan). One more Netherlandish proverb can be applied to this detail: "the herring does not fry here", i.e. his attempts fail, he does not get what he hopes for. In another part of the painting, the peasant is unsuccessfully trying to catch fish with a net: "to fish behind the net" (to miss an opportunity). 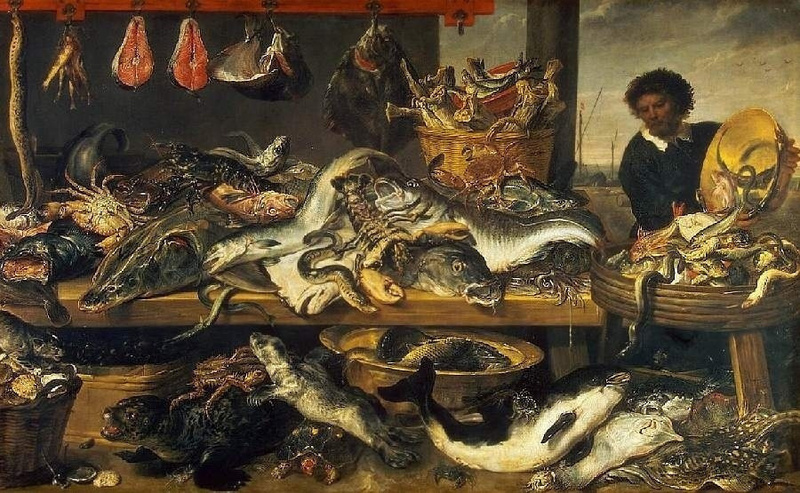 Of course, there are many paintings on the subject of the favourite proverb "Big fish eat little fish" (as in the work by Peter Bruegel the Elder, 1556) — the strong mistreat the weak; eat or be eaten, etc. 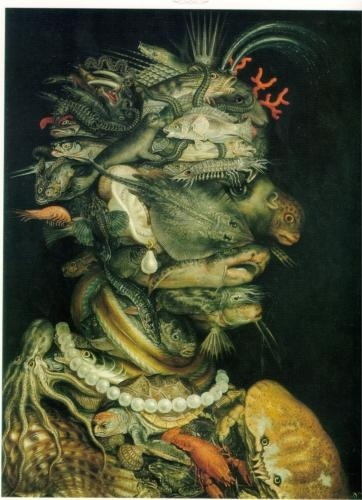 A special place in this context is held by the imagery of Giuseppe Arcimboldo, who reflected the water element in the female portrait Water (1563−1564), composed of various sea creatures. began to lose its sacred meaning and moved into the utilitarian sphere: catch, eat, enjoy. This happened in Holland, where the Reformation, forbidding artists to paint on religious themes, forced them to look for new directions. That’s how still-life painting appeared. 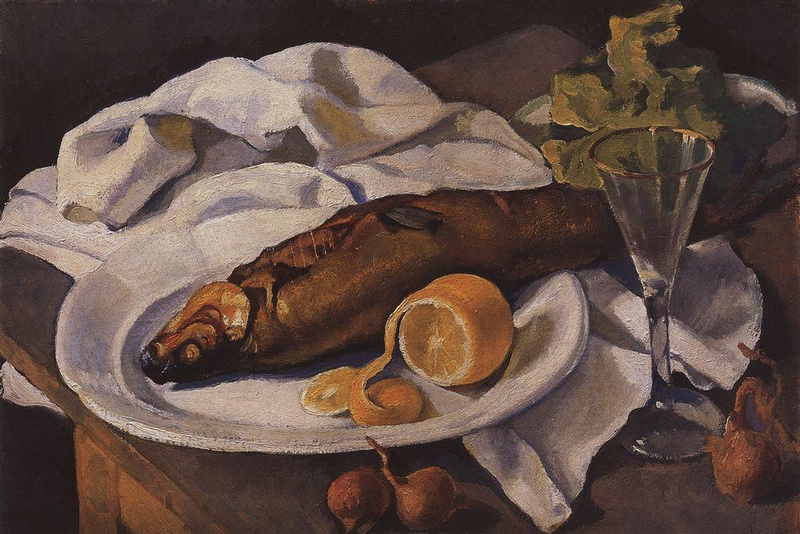 The first still-lifes were characterized by simple subjects; their images were created solemnly and orderly in accordance with the established canons: bread, a glass of wine, fish (symbols of Christ); a knife (symbol of sacrifice); a lemon (symbol of unsatisfied thirst); nuts in the shell (soul bound by sin); an apple (the Fall) and so on. 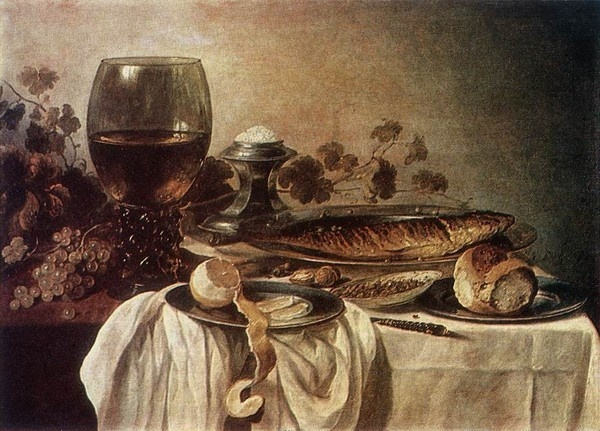 (Pieter Claesz. Still-life. 1597−1661). 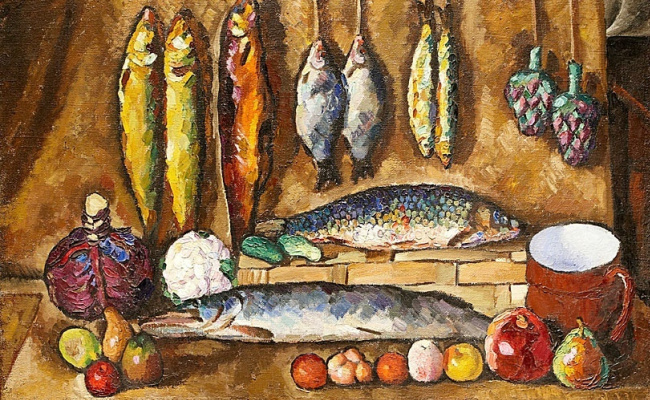 In his famous series of "markets" - Fish Market, Fruit Market, Still-life with a Swan, etc. 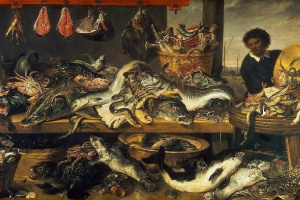 (1613−1620), Flemish artist Frans Snyders depicted tables full of all kinds of food, most often game or fish. The paintings are full of sparkling fish scales, which the artist used to represent not death, but life which is slowly fading away. 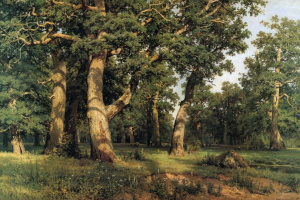 However, you should not trust this rich picture — the real life of that time was much more modest. The viewer is looking at the embodiment of the spirit of good old Flanders, the love of its people for earthly gifts and the innocent dream about the fruitful Land of idlers, where roasted partridges fly into everyone’s mouth. 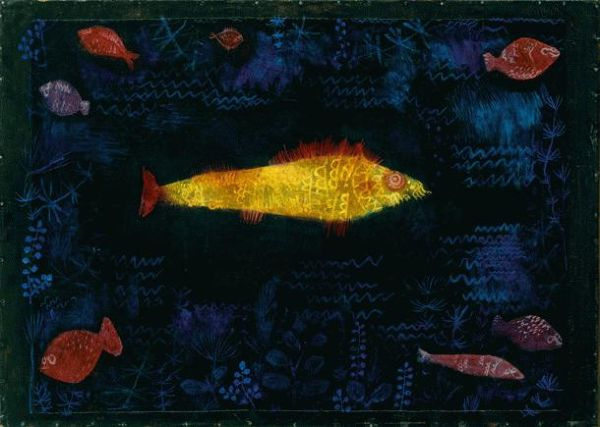 Creating his painting The Goldfish in 1925, Paul Klee interpreted the image of this inhabitant of water in his own way. 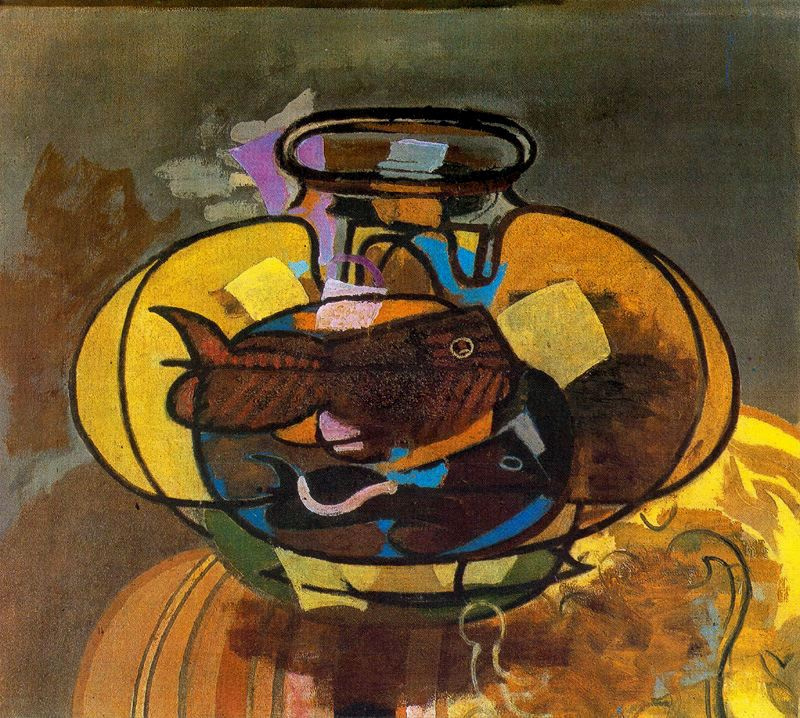 The fish attracts the viewer’s eye with its glow and threatening scratchy fins. It is likely that in this work, the author decided to turn to his unrealized childhood fantasies, and transformed a cute creature into the mysterious piranha. 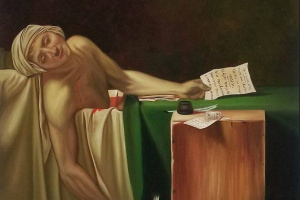 Рыба в сути своего зарождения ( т.е. среда обитания ; ил , водоросли , и такое прочее ) , подобна животному свинья . То быть её потребление , и выращивание многое зависит от человека занимающегося этим .